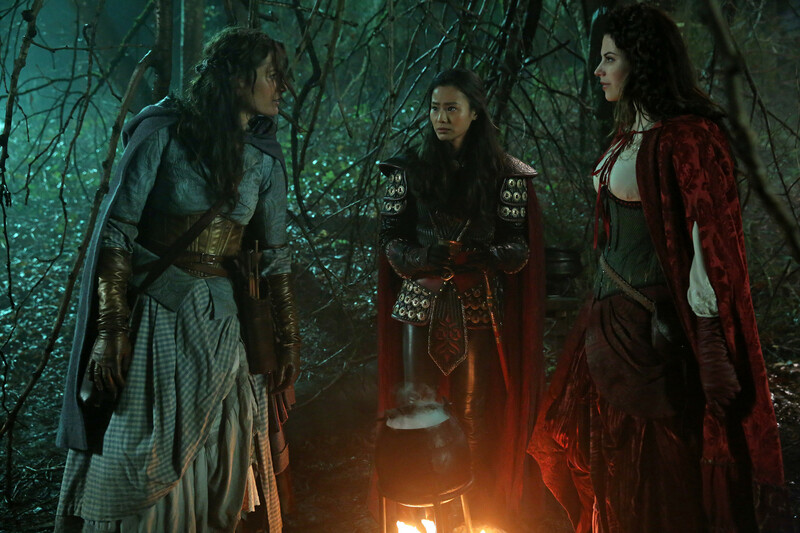 Once Upon a Time Season 5 Episode 18 Sneak Peeks: "Ruby Slippers"
On Sunday's all-new Once Upon a Time season 5, episode 18, "Ruby Slippers," in flashbacks, Ruby (guest star Meghan Ory) and Mulan (guest star Jamie Chung) find themselves in Oz, where they meet Dorothy (guest star Teri Reeves). After the three witness Zelena's (Rebecca Mader) return to Oz, they look for a way to defeat her once and for all. However, Dorothy mysteriously disappears, and Ruby's search for her new friend lands her in the Underworld. Reunited with the heroes, Ruby teams up with Emma (Jennifer Morrison), Regina (Lana Parrilla) and Snow (Ginnifer Goodwin) to continue looking for Dorothy. 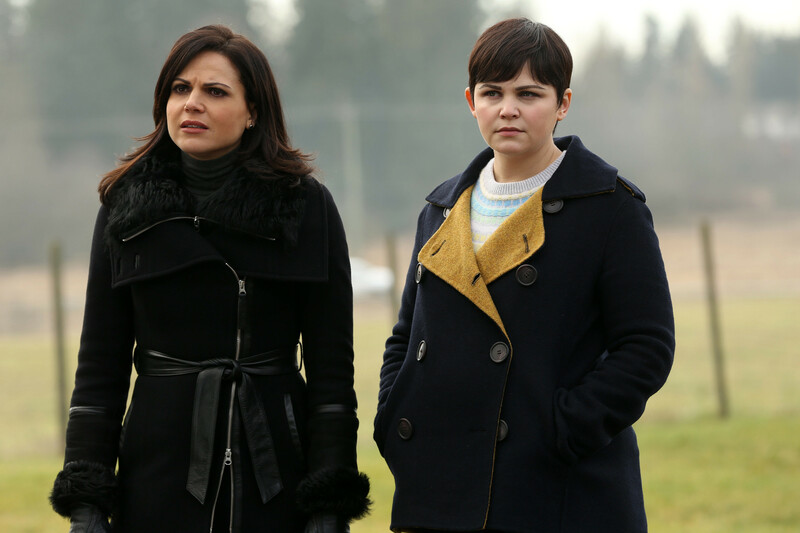 Meanwhile, Snow and David (Josh Dallas) struggle with not being able to be with their son, Neal, and devise a plan so that one of them can escape the Underworld. In the Once Upon a Time sneak peeks below, Hades (Greg Germann) warns Zelena that Ruby is in town. When Zelena worries the heroes will find out what she did to Dorothy, Hades encourages her to stay. Meanwhile, in Oz flashbacks, Mulan and Ruby meet Dorothy. Watch these sneak peek spoilers below and tune in SUNDAY APRIL 17 8|7c. Sneak Peek: Can Zelena Trust Hades? Missed this week's episode? Catch up with the recap for episode 17 "Her Handsome Hero" here!